North Beach is a neighborhood endeared to San Franciscans and tourists alike, bubbling with culture, history, and an unparalleled and unique neighborhood vibe. 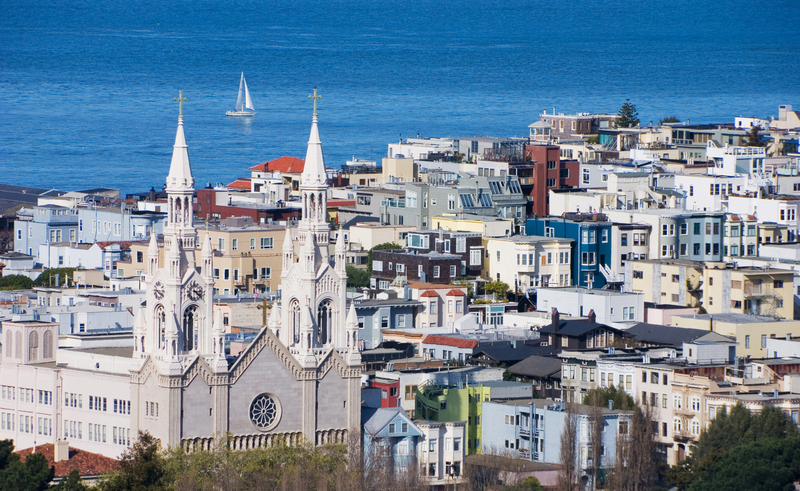 Better known as Little Italy, North Beach was once home to San Francisco’s Italian immigrant population. Today, the culturally diverse neighborhood is anchored by a high-density of check-clothed restaurants, cafes, and Old World delicatessens that serve the residents of the primarily residential neighborhood. North Beach is packed with history, including the list of famous individuals who once walked the streets including Joe DiMaggio, Marilyn Monroe, and Jack Kerouac whose writings about the life and times of his friends and associates are the centerpiece of the Beat Museum in neighboring Telegraph Hill. Washington Square Park stands out as the ultimate gathering place for locals and visitors looking to take a back seat to the organized chaos of the neighborhood — chock full of enough cafes and street vendors to make an entire day out of a park visit. North Beach is also famous for being the home of the world’s longest running musical revue, Beach Blanket Babylon. While North Beach can be considered an old flame, it continues to burn brightly, thriving with residents and visitors that enjoy the endless variety of places to shop, eat, and bask in a number of historical sites. The energetic buzz that underlies this distinct San Francisco neighborhood is what continues to make it magnetic for every generation.